If you are thinking about replacing your old monitor with a new one, then you would be amazed to see the number of options that are available in the market. In the last five years, monitors have been featured with higher resolutions, more inputs and also better panels. The biggest problem in choosing arises if you are a gamer and you have to buy a new monitor. New monitors in the market like, the 4K resolution ones have a great selling point – high refresh rate. While choosing, you might often come across things like 120Hz panel or 144Hz panel. This becomes very confusing for common people to understand and the name does not give a lot of explanation about it. There is also one thing that people tend to miss is the fact that refresh rates does not enhance the resolution or the accuracy of colors. 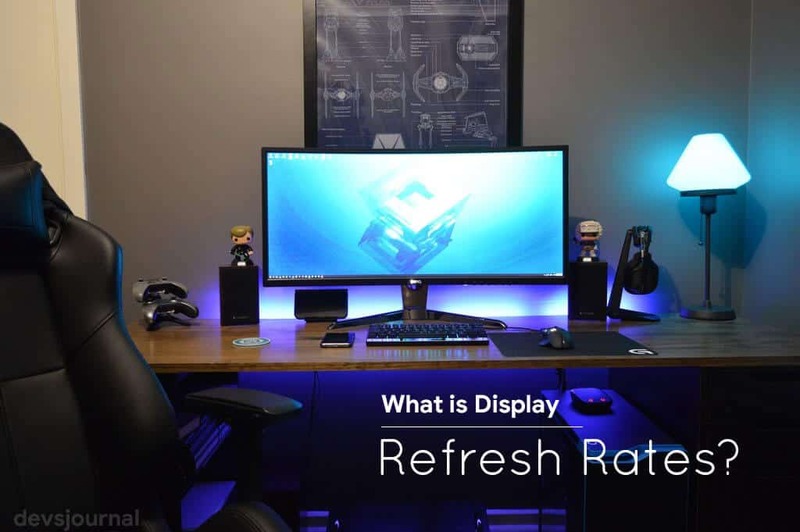 Let us dig deep into understanding the relation between Monitor and Hz (Refresh rates)and get to know more about it. What is the Relation of Hz with Monitors? People think that 120Hz has something to do with the performance, but it’s something different. It is related to the refresh rate. Refresh Rate can be explained as the number of times an image is refreshed every second. The movement on the monitor is displayed with the difference between frames and refresh rate plays a significant role in it. But the refresh rate is not similar to the frame rate. Frame rate could be called an attribute of the information that is being sent to the monitor while Refresh rate is the attribute of the monitor. Refresh rate would play a huge difference for gamers. If you are playing a game at 100 FPS (Frames per second), then you would have the benefit of the monitor if it refreshes 100 times every second. But if you are watching a movie at 30 FPS, then a monitor with higher refresh rate would not make much of a difference. Let us understand this with different concepts. If a system has a higher refresh rate, it would help to decrease the blur. Some people are able to see the difference between a system with 60Hz and 120Hz while some people are not able to make out the difference between 120Hz and 240Hz also. This would depend a lot on what you are doing on the system. A gamer would be able to notice it very quickly because he would be able to see visuals being sharp while performing fast movements and the movement of the mouse wouldn’t feel very smooth. There would even be a bit of difference in scrolling down while web browsing, but you would not find any difference in watching videos online or answering emails. If a person mismatches between frame rates and refresh rates then screen tearing might occur. Screen tearing happens when the video card sends frame rates that are remarkably higher than the refresh rates of the monitor. At this time, more frames are being rendered then the capacity of the monitor. There would be some issues like half frames would be seen together on a screen, there would be a lot of difference between the two frames, and none of them would line up correctly with each other. Such kinds of problems which can be noticed by anyone. If there is a game whose frame rates exceed 100 FPS and you are playing it on a 60Hz monitor, then you won’t get the full benefit of that game as it refreshes only 60 times per second. Due to this screen tearing would occur as it would not be able to handle the data that is fed to it. A 240Hz display can handle up to 240 frames per second, and all the games would run smoothly on it. There are some frame syncing technologies like Freesync, G-Sync, and V-Sync which prevent screen tearing but they have their problems. V-Sync will lower the performance rate. G-Sync and Freesync require a specific combination of hardware and video card. The refresh rate of a monitor affects the input lag. A 60Hz display will have a visible lag above 16.67ms because that is the amount of time which it takes to refresh from one frame to the next. A 120Hz display will take half the time which is 8.33ms, and a 240Hz display would further decrease it to 4.16ms. It is not actually required to decrease the lag from less than ten milliseconds for regular users and not even for gamers. But still, it would be needed for people who need a very smooth and fluent gaming experience and do not want to compromise at all. Now let us get a simple answer whether you need a 120Hz display or a 240Hz display. If you are a gamer, then you should look forward to switching to a monitor with high refresh rates. 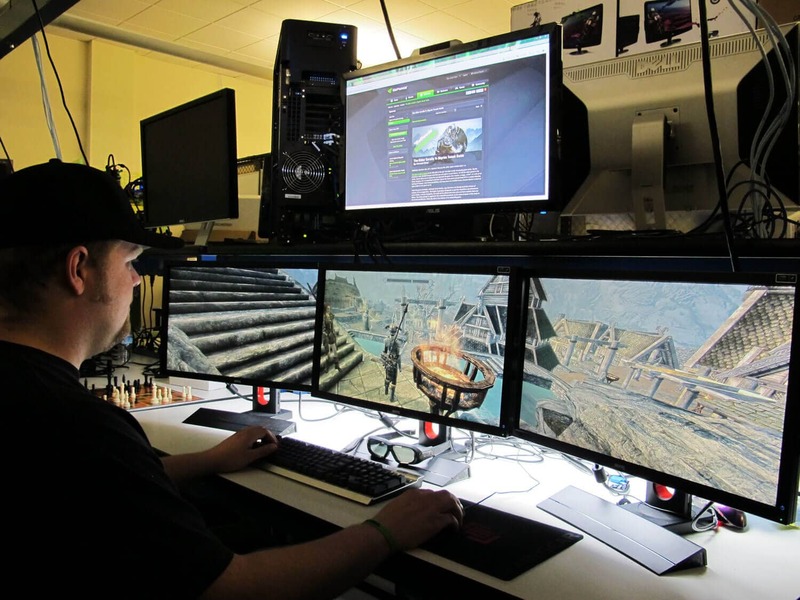 You could take a 4K monitor with 120Hz or 144Hz which would provide you with smooth and tear-free gaming experience and also there would be no issues of input lag. You can find a 120Hz monitor in the store with demos running. There are tons of options available online too. If you are not a gamer, then there is no need to switch to a monitor with high refresh rates. You can simply pick any good monitor with an excellent display resolution.